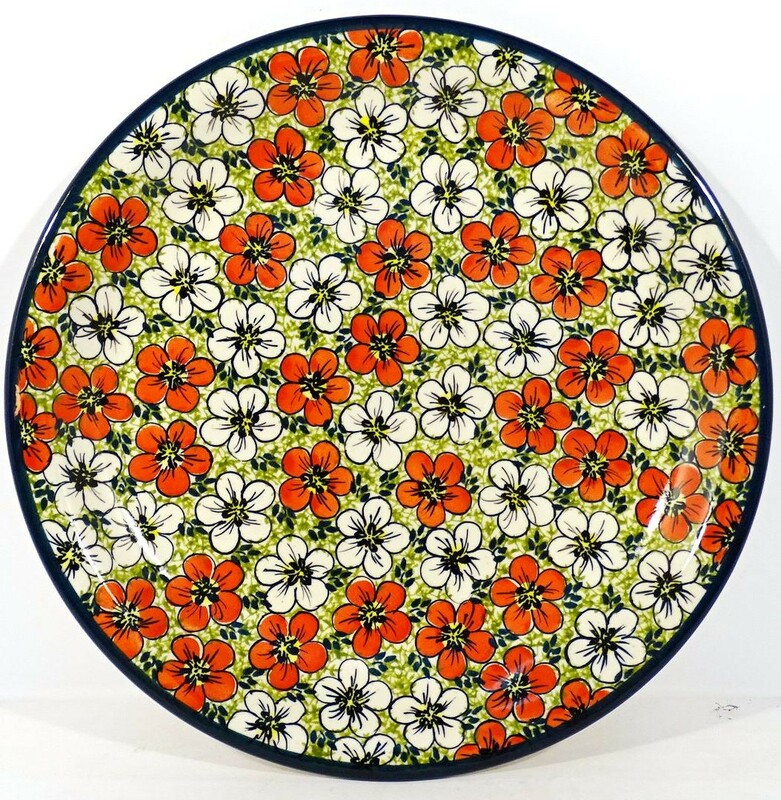 The Pottery Avenue RED BACOPA Plate will be one your favorite and you will reach for this plate daily, and what a great way to brighten your day with a beautifully hand painted “BOLESLAWIECE” Polish Stoneware Plate. The Pottery Avenue RED BACOPA Plate will be one your favorite and you will reach for this plate daily, and what a great way to brighten your day with a beautifully hand painted “BOLESLAWIECE” Polish Stoneware Plate. Polish Pottery is oven, microwave, freezer, dishwasher safe. Pattern are created by skilled artisans of Zaklady Ceramiczne Boleslawiec, the original Polish Stoneware factory known for having the top quality and exceeding the California Prop 65 test for food safety. A national treasure, Boleslawiec ceramics have been manufactured for centuries. Developed from natural ceramic clay that can be found near Boleslawiec at the Bobr and Kwisa rivers. According to historical sources, the first stoneware was made in medieval times and in the early 16th century, local potters formed guilds to ensure perfection. Zaklady Ceramiczne "BOLESLAWIEC" was founded by one of the original men with the first pattern dating back to 1759. “RED BACOPA Lunch-Salad Plate“ is a UNIKAT pattern based of the 300 year old pattern "EYE OF THE PEACOCK". Designed by top designer and imported by Pottery Avenue, the premier importer of Polish Pottery & Polish Stoneware.